Caption - South African Railways (SAR) class 25 4-8-4 no.3479 with the 0745 Bloemfontein to Ladybrand passenger departing from Sanaspos in July 1979. 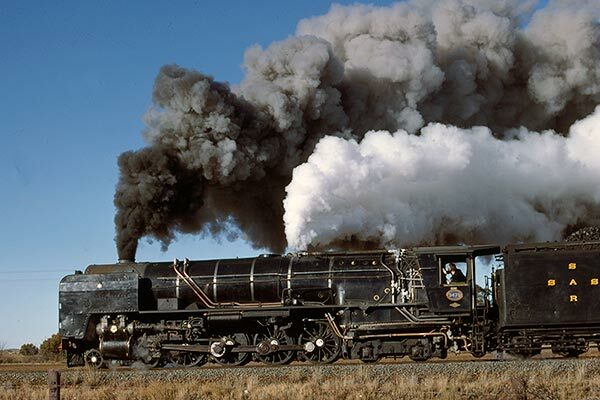 With a full head of steam the loco will make easy work of the relatively light load. At Modderpoort the 25 class will be replaced by a 19D class 4-8-2 for the remainder of the train's journey up the branch to Ladybrand.